Wouldn’t it be spectacular if your recruiting firm no longer had to hunt down new clients and instead had them knocking on your door? Inbound marketing can make this a reality. 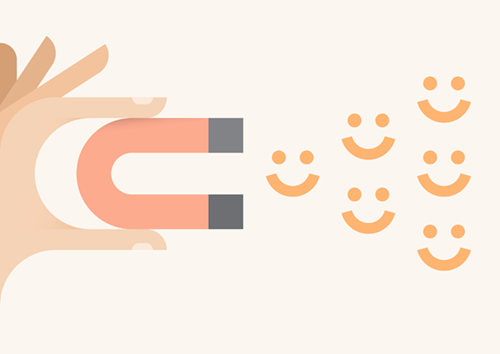 Many recruiting firms have been highly successful attracting new clients using five key inbound marketing strategies. Search engine optimization that highlights key phrases and topics like “recruiting firms” and “job recruitment” are fine – as long as you’re OK with getting lost in the crowd. Recruiting firms are a dime a dozen, and you want yours to stand out with highly targeted SEO. Shape your web copy and SEO strategy to target your specific markets, industries, seniority levels, niches and other factors that align with your firm. Even though the traditional “Help Wanted” section has largely become obsolete, give users a chance to browse through both previous and current job listings to get an idea of the type of positions and companies you staff. Clients are paying you for your personal connections, not the job listings on your site. But you still want to provide easy-to-find listings that showcase your past experience. While job listings give potential clients a general idea of what you can do, case studies and client examples give them concrete evidence. Create a specific web page just for case studies so visitors can easily find multiple examples; put a few on your home page for extra measure. Case studies and client examples work as social proof your recruiting works while boosting your credibility. Team pages are akin to an expanded “About” page, outlining the individual team members who contribute to your company’s success. These pages provide a personal touch and are particularly useful for recruitment firms and other businesses where team members work directly with clients. Prospects have a chance to “meet” your team members, view their photos, check out their bios and social links, and otherwise put a face to their names as well as your company. People generally like to stick with the winners, and you can prove you’re a champion in your field by producing informative, valuable content on a regular basis. Compelling blog posts, e-books, traditional books, podcasts and other forms of educational, intriguing content can help peg you as an expert and thought leader in the recruiting industry. With the right SEO, job listings, case studies, team page and thought leadership, your recruiting firm can be well on its way to attracting the exact type of clients your firm was created to serve.